Tammy has 18+ years in developing multiple markets and building meaningful customer relationships. 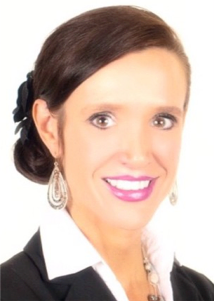 She is employed with Providence Title in Cypress, Texas and is also a Fierce Funk dance fitness instructor. She is currently expanding her education and completing her final courses for her Texas Real Estate License. Tammy is known for her keen insight into what her client’s needs are and has a passion built for success. While Tammy’s modeling career has been minimal over the years, when the time allows, she enjoys the opportunity to work with local promotional companies and participate in fashion shows, etc. She prides herself on her core values of integrity, faith, compassion, and lives life to the fullest. She is an advocate for Melanoma Awareness and Childhood Cancer as she herself is a “two time” cancer survivor. Tammy and her husband have 4 teenage boys between them and reside in the Spring/Klein area.